Hi all! I woke up with the urge to colour something from my "faeries and myths" section of stamps and so I took out this mermaid from a set that I'd bought some time in 2014. I coloured the other two mermaids from the stamp, so it was this gal's turn. My medication was playing haywire with my ability to colour, so it's not my best work (especially the hair), but I think she came out okay. Someone on my message board was talking about using photorealistic paper so I immediately thought about these papers from Webster's Pages. The bokeh doesn't really count, but the starfish was pretty cool. Anyway, I hope you like it. It was fun to colour up a mermaid again. I totally have a love affair with mermaids. But now, she needs a new home. So if you'd like her, drop me a comment and I'll pop this gal into an envelope for you. 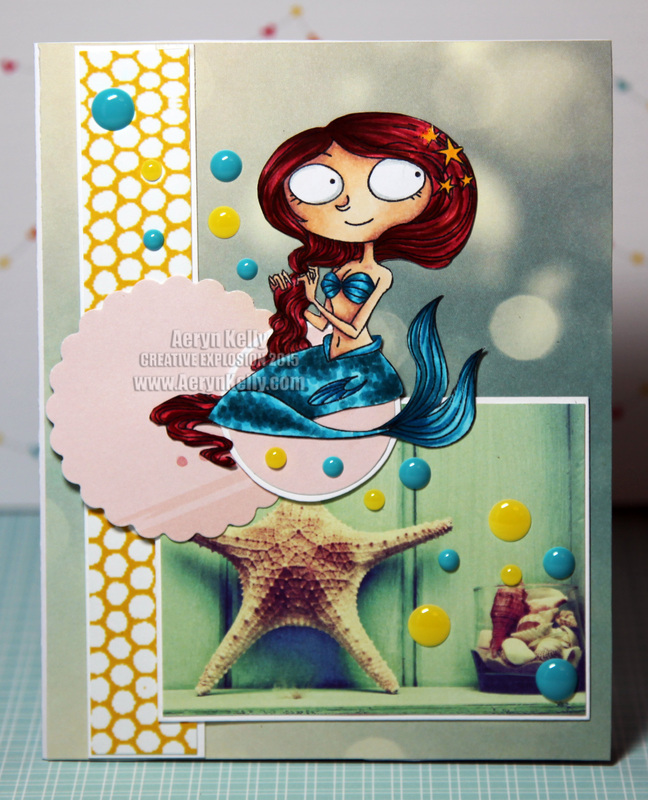 Rubber Stamp: Kraftin' Kimmie "Sea Jewels"
Paper: Webster's Pages "Ocean Melody"
Ooooh how cool, love the picture on the bottom. You are always so creative!! We would love to have you join the stampers at Anya, Oddies, and Others! It's a blog all about inspiration and you have TONS to share. All stamp brands are welcome. Come check us out.